I love this Skinny Instant Pot Apple Cider, it’s only 67 calories per cup and tastes great hot or cold! 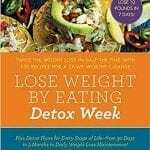 My new cookbook LOSE WEIGHT WITH YOUR INSTANT POT is filled with all natural, metabolism boosting recipes for weight loss and weight maintenance, like this yummy Skinny Instant Pot Apple Cider. 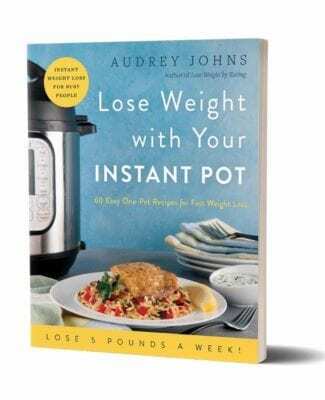 Because cooking in an Instant Pot has become the new kitchen “craze” it was natural that Lose Weight By Eating would address this new cooking appliance, and create weight loss Instant Pot recipes. 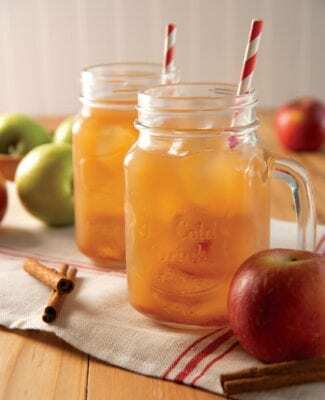 Who doesn’t love apple cider? But those packets you can buy are full of preservatives and not at all healthy. This Instant Pot Apple Cider recipe is all natural and metabolism boosting—a drink you can splurge on without guilt! 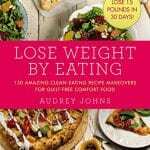 In the Instant Pot, combine the tangerine segments, apples, pumpkin pie spice, brown sugar, and water. Cover and cook on high pressure for 15 minutes. Let the pressure release naturally. Use a potato masher to mash up the fruit in the pot. Strain the Skinny Instant Pot Apple Cider through a fine-mesh sieve (discard the solids). Serve the cider hot or cold, tastes great both ways. P.S. I love to use this Instant Pot Cider in salad dressings, cocktails and marinades. So delicious and versatile! 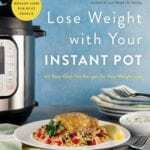 Check out my cookbook LOSE WEIGHT WITH YOUR INSTANT POT and more Lose Weight By eating cookbooks here.